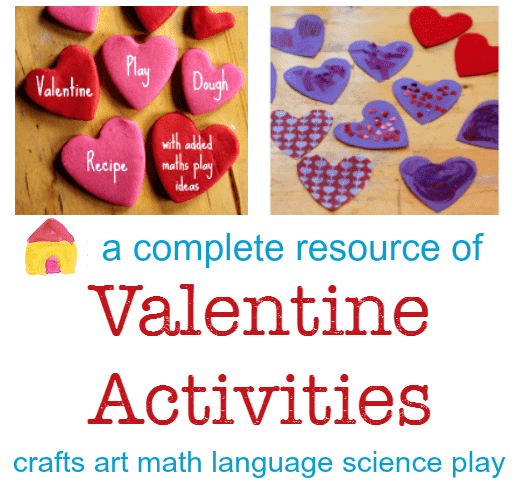 There are so many great Valentine’s Day crafts and activities for kids, it would take more than all month to share them. But NurtureStore has a great collection of activities and crafts for Valentine’s Day, including sensory projects, science, literacy, art, writing, matching and more. There are even Valentine’s cookies and a cake you can make and decorate with the kids. You could do a whole themed unit of Valentine’s inspired ideas, or set up a center that includes a few of these options, whether in a classroom or at home. This is a list that should definitely inspire you to bring some heart-shaped learning into the next couple of weeks!